The Rolling Stones have signed their first new publishing deal in more than 40 years, signing with BMG yesterday, the company announced. 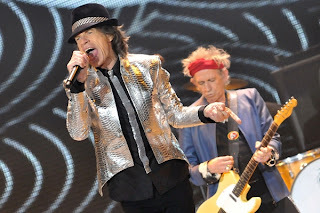 While no figure has been announced for the deal, it'll surely be lucrative for all parties with the Stones' 50th anniversary tour boosting sales of their back catalog. BMG will now be in charge of licensing the band's post-1971 songs for movies, TV and advertising, as well as getting proper royalties from digital services like Spotify and iTunes. The Stones' back catalog, beginning with a 1963 cover of Chuck Berry's "Come On," was recently released on the latter service. The last time the Stones made a deal with an outside publisher was 1971, when they gave EMI the rights to their catalog from that year until 1983. Since then, the band has kept control of its catalog from 1971 on. The Stones' songs before 1971 are owned by their former label, ABKCO. The company essentially owns all the Stones' material up to "Brown Sugar" and "Wild Horses." The rest of the songs on Sticky Fingers, and everything since, are now under the control of BMG. "This deal is incredibly important for BMG," CEO Hartwig Mausch said in a statement. "Keith and Mick have clearly created one of the most outstanding song collections in rock & roll history."